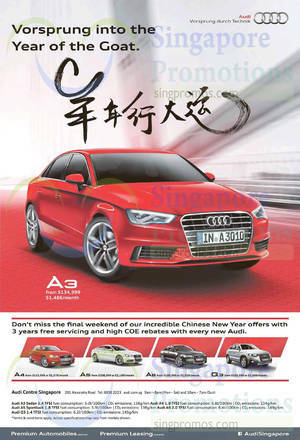 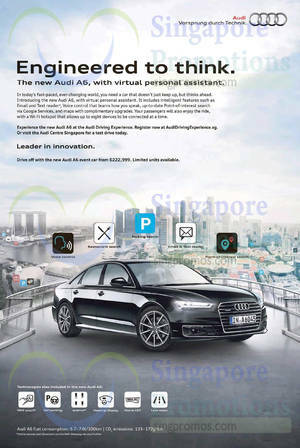 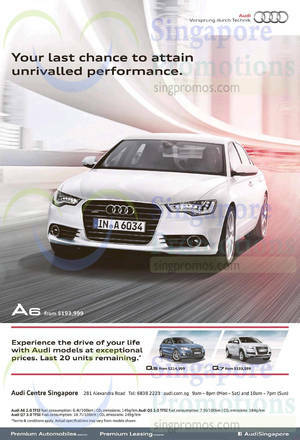 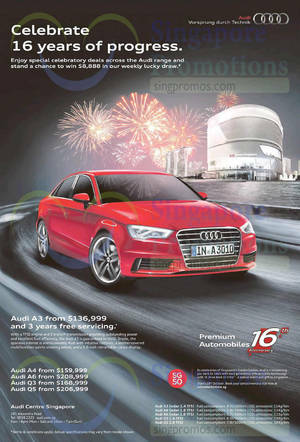 Drive off with the new Audi A6 event car from $222,999. 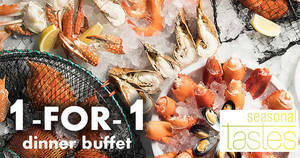 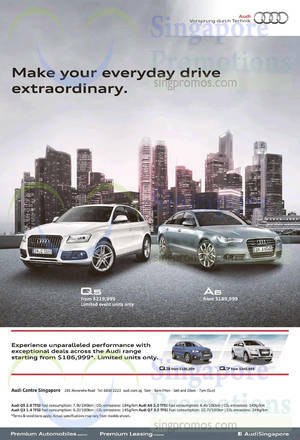 Q5 from $214,999, A6 from $193,999 and Q7 from $333,999. 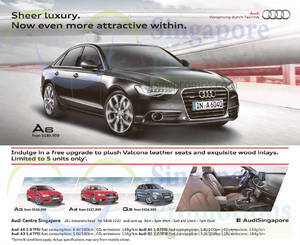 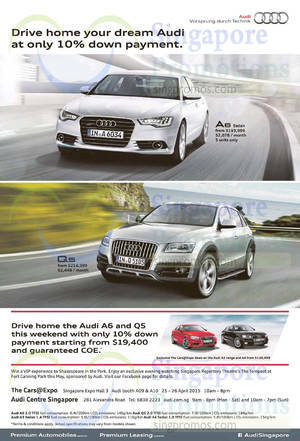 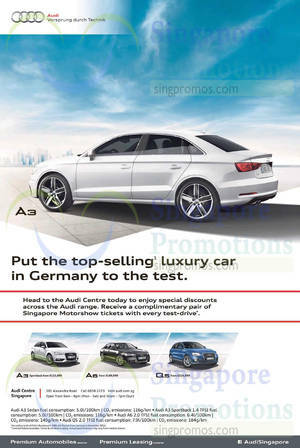 Q5 from $219999, A6 from $189999, Q3 from $186999 and Q7 from $340,999. 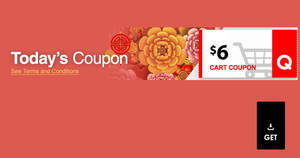 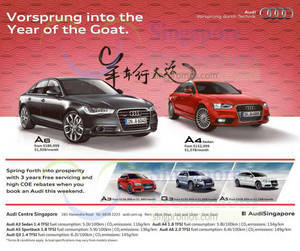 Spring forth into prosperity with 3 years free servicing and high COE rebates when you book an Audi this weekend. 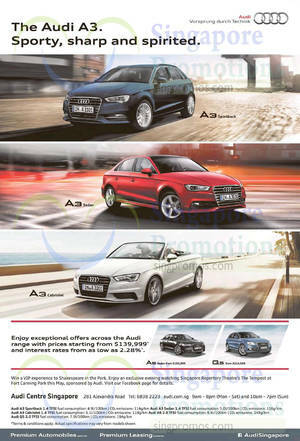 Head to the Audi Centre today to enjoy special discounts across the Audi range.